Bring the “bling” to your own custom made soft plastic baits. A high quality polyester glitter, the Essential Series Glitter suspends in plastic better than heavier glitters and was made specifically for plastic baits. 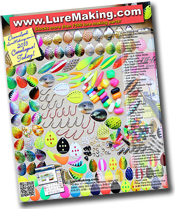 Give your soft baits that professional, eye popping appeal that catches fish, for best results, add glitter to hot plastic just before pouring or injecting. Glitter Flake comes in .015 size. (1oz). This gltter can also be added to our clear (#00) and transparent heat & dip powder paint. 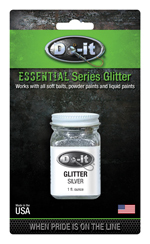 Soft Bait Glitter can also be used in your liquid and heat and dip powder paints.